Jatropha is a genus of nearly 175 species of shrubs, low-growing plants, and trees. However, discussions of Jatropha as a biodiesel feedstock are actually means a particular species of the plant, Jatropha curcas. The plant is indigenous to parts of Central America, however it has spread to other tropical and subtropical regions in Africa and Asia. Jatropha curcas is a perennial shrub that, on average, grows approximately three to five meters in height. It has smooth grey bark with large and pale green leaves. The plant produces flowers and fruits are produced in winter or throughout the year depending on temperature and soil moisture. The curcas fruit contains 37.5 percent shell and 62.5 percent seed. Jatropha curcas can be grown from either seed or cutting. By virtue of being a member of the Euphorbiaceae family, Jatropha has a high adaptability for thriving under a wide range of physiographic and climatic conditions. It is found to grow up to an elevation 3000 feet. 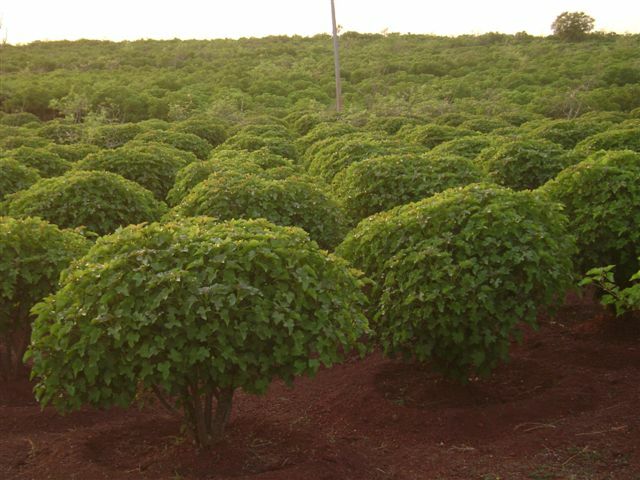 Jatropha is suitable for all soils including degraded and barren lands and even in deserts, and is a perennial occupying limited space and highly suitable for intercropping. Extensive research has shown that Jatropha requires low water and fertilizer for cultivation, is not grazed by cattle or sheep, is pest resistant, is easily propagated, has a low gestation period, and has a high seed yield and oil content, and produces high protein manure. Suppresses growth of unwanted plants in the vicinity. Provide clean and renewable source of energy. High economic use for previously barren land. Pongamia pinnata or Karanj is another promising non-edible oil seed plant that can be utilized for oil extraction for biofuels. The plant is a native of India and grows in dry places far in the interior and up to an elevation of 1000 meters. Pongamia plantation is not much known as like Jatropha, but the cost effectiveness of this plant makes it more preferred than other feedstock. Pongamia requires about four to five times lesser inputs and giver two to three times more yield than Jatropha which makes it quite suitable for small farmers in India. However, Pongamia seeds have about 5-10 percent less oil content than Jatropha and the plant requires longer period to grow as the gestation period is about 6-8 years for Pongamia against 3-5 years in Jatropha.